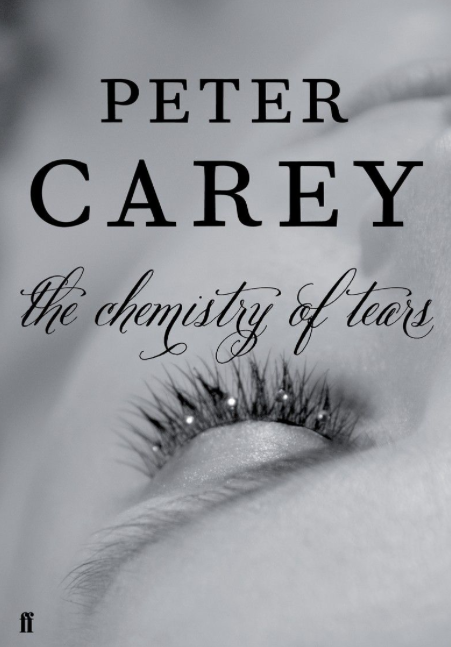 I’ve been thinking about novels that have something profound to contribute to Material Culture Studies having just read Peter Carey’s The Chemistry of Tears which is a remarkable instantiation of the affective entanglement of techniques, materials, and emotion. A bare overview: the story focuses around Catherine Gehrig, a bereaved horologist, whose secret lover (a colleague at a fictitious London museum) has suddenly died. Her boss, in an attempt to help her suffering, gives her several boxes to work on: the contents of which need to be conserved and put back together. The boxes contain a dismantled automata made in the 19th century in Germany. A number of notebooks accompany the object and stealing them to read at home she enters the world of Henry Brandling, recently bereaved of a young child himself, and desperate to prevent the death of his ailing son. Brandling travels to Bavaria to commission the production of a copy of Vaucheron’s shitting duck, convinced that the majesty of the automata might contain a form of healing power. He encounters an eccentric giant of a clockmaker, who seems to him to be stark raving mad, and who with his angelic apprentice, makes not a duck, but a wonderful metal swan swimming on a glass lake, swallowing silver fish. Reading alongside Catherine the curator in the present day, is her own eccentric assistant who is in a relationship with Catherine’s dead lover’s son and who also becomes obsessed with the potential of the automata to contain the power over life and death. Catherine is distraught, self medicates with alcohol and booze, yet for much of the book she engaged in the quiet technical practice of conservation, observation and research. Similarly, the disquiet and personal dramas of all of the other characters are both stayed and channelled by the majestic automaton. The story is complex, told in interweaving parallel narratives each with a specific focus on place, technical processes of engineering and conservation, and personal drama, the combination of which overly the metaphysical nature of the book as a whole. The book is fundamentally, for me anyway, about replication. As the magical swan (and the other automata) replicate animals, they also replicate human minds (a slippage in the word computers which in Brandling’s time referred to a person undertaking numerical calculation). Catherine’s therapy of putting this machine back together is replicated in reverse by the mental breakdown of her assistant, whose own relationship with Catherine’s lover’s son mirrors or replicates that of her mentor. The machines are put together as they decompose their makers. The narrative is about the power of materials to transcend time and space. As the machine comes to life, the sanity, or life of its makers slips, and this is mirrored in the later chapters of the book where the chapters no longer belong to either Henry Brandling (in the form of his diary) or Catherine but become paraphrases and cross-references of the other. The automata effects a co-presence that has powerful affect not only on the characters of the book but also on the formal engagement of the reader. The book is about skill, workmanship, and physical engagement which for everyone in the book are the forms of love (or the chemistry of tears). The master of this is the german craftsman’s mentor, a man named Cruikshank, modeled on Charles Babbage, is driven through madness and grief to develop a computer that will map the sea bed and fix the errors in charting that have resulted in his family’s death at sea. The focus on materiality and replication emphasises not just a mutuality of constitution but the kinds of recursion, and temporal/spatial compression that such complex technical and artistically beautiful artifacts effect. It’s a book that could be read in perfect parallel with Gell’s Art and Agency – providing as it does a description of technologies of enchantment, the distribution of intentionality, and the power of materials – of how machines make us human not through opposition but by extending our capacities to think and challenging our understandings of what it means to be alive. It’s a novel that tells us that the sum of the parts are greater than the whole.